1. Create a mind-map/brainstorm of your meal. Remember to use specific details and examples of the ingredients you plan on using with each dish. 2. Turn the mind-map into an efficient grocery list outline. You do not need to make complete sentences. 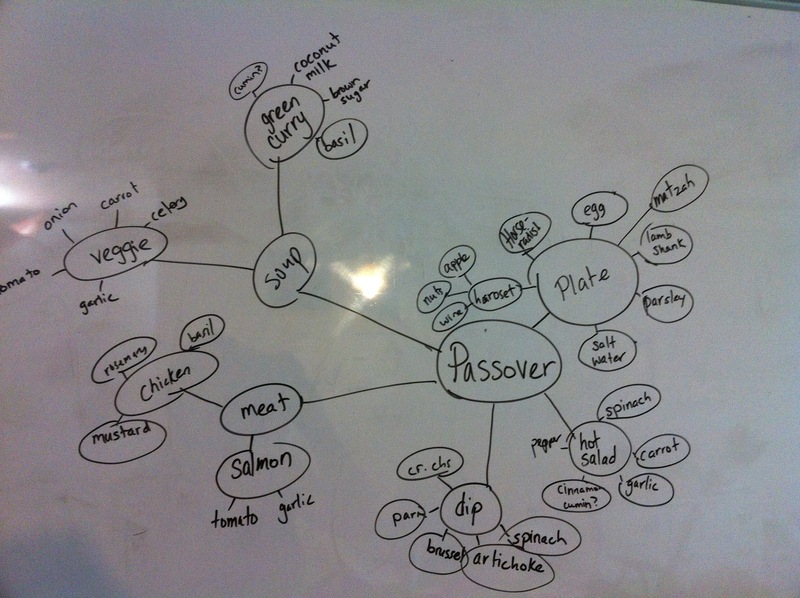 This is to help you organize your thoughts so your essay Passover dinner isn’t messy or offtrack. Is your dish an appetizer or main course? This is the chance to decide before you begin writing cooking.If something can be or needs to be refrigerated, this is the time to acknowledge it in your ‘notes’. 3. Use the grocery list outline to gather your ingredients. 4. Keeping your mind-map and outline nearby, you can begin to assemble your dishes. It maybe easier to start with the body of the essay more time consuming meals first. 5. Proofread for any spelling or grammar errors. Check your dishes before serving for presentation.